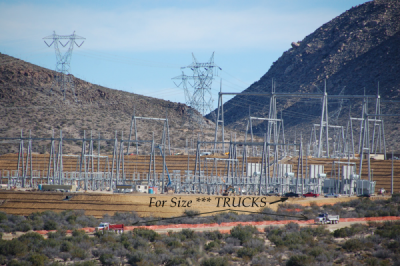 June 24, 2012 (San Diego) -- The California Public Utilities Commission (CPUC) this week approved San Diego Gas & Electric's (SDG&E) East County (ECO) Substation Project, a development that involves two electric substations along SDG&E's Southwest Powerlink transmission line. February 2, 2012 (Jacumba)- - The California Public Utilities Commission (CPUC) held a public participation hearing at the Jacumba Highland Center on January 24. Presided over by an administrative law judge, the honorable Hallie Yacknin, this hearing provided an opportunity for interested members of the public to express their views on San Diego Gas & Electric’s (SDG&E) application for a permit to construct the East County Substation Project (ECO Substation).